Including a meal kit for authentic gourmet ramen, a millennial-focused platform for buying affordable fine-art and a benefits platform for gig workers. AngelPad just wrapped the 12th run of its months-long New York City startup accelerator. For the second time, the program didn’t culminate in a demo day; rather, the 19 participating startups were given pre-arranged one-on-one meetings with venture capital investors late last week. AngelPad co-founders Thomas Korte and Carine Magescas did away with the demo day tradition last year after nearly a decade operating AngelPad, which is responsible for mentoring startups including Postmates, Twitter-acquired Mopub, Pipedrive, Periscope Data, Zum and DroneDeploy. “Demo days are great ways for accelerators to expose a large number of companies to a lot of investors, but we don’t think it is the most productive way,” Korte told TechCrunch last year. Competing accelerator Y Combinator has purportedly considered their eliminating demo day as well, though sources close to YC deny this. The firm cut its investor day, a similar opportunity for investors to schedule meetings with individual startups, “after analyzing its effectiveness” last year. Feedback to AngelPad’s choice to forego demo day has been positive, Korte tells TechCrunch, with startup CEOs breathing a sigh of relief they aren’t forced to pitch to a large crowd with no promise of investment. LotSpot is a parking management tool for universities, parks and malls. The company installs cameras at the entrances and exits of customer parking lots and autonomously tracks lot occupancy as cars enter and exit. The LotSpot founders are Stanford University Innovation Fellows with backgrounds in engineering and sales. Twic is a discretionary benefits management platform that helps businesses offer wellness benefits at a lower cost. The tool assists human resources professionals in selecting vendors, monitoring benefits usage and managing reimbursements with a digital wallet. Twic customers include Twitch and Oscar. The company’s current ARR is $265,000. Zeal is an enterprise contract automation platform that helps sales teams manage custom routine agreements, like NDAs, independently and efficiently. The startup is currently working on test implementations with Amazon, Citi and Cvent. The founders are attorneys and management consultants who previously led sales and legal strategy at AXIOM. ChargingLedger works with energy grid operators to optimize electric grid usage with smart charging technology for electric vehicles. The company’s paid pilot program is launching this month. Piio, focused on SEO, helps companies boost their web presence with technology that optimizes website speed and performance based on user behavior, location, device, platform and connection speed. Currently, Piio is working with JomaShop and e-commerce retailers. Its ARR is $90,000. Duality.ai is a QA platform for autonomous vehicles. It leverages human testers and simulation environments to accelerate time-to-market for AV sidewalk, cars and trucks. Its founders include engineers and designers from Caterpillar, Pixar and Apple. Its two first beta customers generated an ARR of $100,000. COMUNITYmade partners with local manufacturers to sell their own brand of premium sneakers made in Los Angeles. The company has attracted brands, including Adidas, for collaborations. The founders are alums of Asics and Toms. Spacey is a millennial-focused art-buying platform. The company sells limited-edition collections of fine-art prints at affordable prices and offers offline membership experiences, as well as a program for brand ambassadors with large social followings. LegalPassage saves lawyers time with business process automation software for law firms. The company focuses on litigation, specifically class action and personal injury. The founder is a litigation attorney, former adjunct professor of law at UC Hastings and a past chair of the Family Law Section of the Bar Association of San Francisco. Revetize helps local businesses boost revenue by managing reputation, encouraging referrals and increasing repeat business. The startup, headquartered in Utah, has an ARR of $220,000. House of gigs helps people find short-term work near them, offering “employee-like” services and benefits to those freelancers and gig workers. The startup has 90,000 members. The San Francisco and Berlin-based founders previously worked together at a VC-backed HR startup. MetaRouter provides fast, flexible and secure data routing. The cloud-based on-prem platform has reached an ARR of $250,000, with customers like HomeDepot and Sephora already signed on. 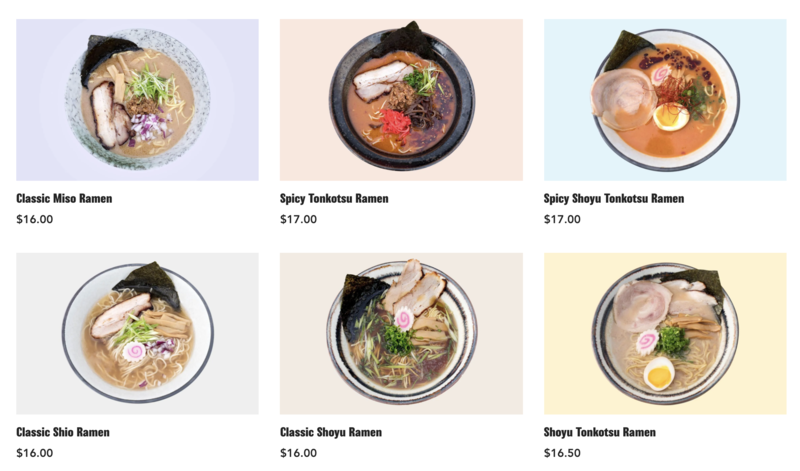 RamenHero offers a meal kit for authentic gourmet ramen. The startup launched in 2018 and has roughly 1,700 customers and $125,000 in revenue. The startup’s founder, a serial entrepreneur, graduated from a culinary ramen school in Japan. ByteRyde is insurance for autonomous vehicles, specifically Tesla Model 3s, taking into account the safety feature of self-driving cars. Foresite.ai provides commercial real estate investors a real-time platform for data analysis and visualization of location-based trends. PieSlice is a blockchain-based equity issuance and management platform that helps create fully compliant digital tokens that represent equity in a company. The founder is a former trader and stockbroker turned professional poker player. Aitivity is a security hardware company that is developing a scalable blockchain algorithm for enterprises, specifically for IoT usage. SmartAlto, a SaaS platform with $190,000 ARR, nurtures real estate leads. The company pairs agents with digital assistants to help the agents show more homes. FunnelFox works with sales teams to help them spend less time on customer research, pipeline management and reporting. The AI-enabled platform has reached an ARR of $75,000 with customers including Botify and Paddle. The lightweight headsets are expected to ship in fall 2019. Apple now has a major competitor sitting on its own board. Our TOP100 Taiwan champion says let’s bring chatbots to real estate! Taipei showed its startup prowess, seeing six companies qualify for TOP100 in Singapore Taiwan is the country of Acer, Foxconn and HTC. It has a long, proud, history in the manufacturing industry and has been a regional leader in technology for decades. As the burgeoning startup scene continues to chug along, e27 landed in Taipei […] The post Our TOP100 Taiwan champion says let’s bring chatbots to real estate! appeared first on e27.